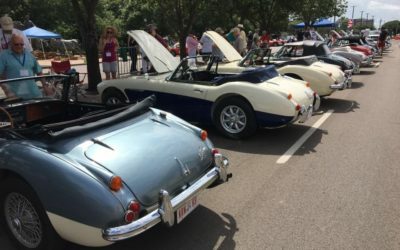 I first became interested in the restoration British cars about 20 years ago when an acquaintance agreed to sell me his long-dormant Triumph TR-6. For that learning experience I did a basic mechanical and cosmetic restoration. It wasn’t a “ground up” restoration, but I learned what was involved. 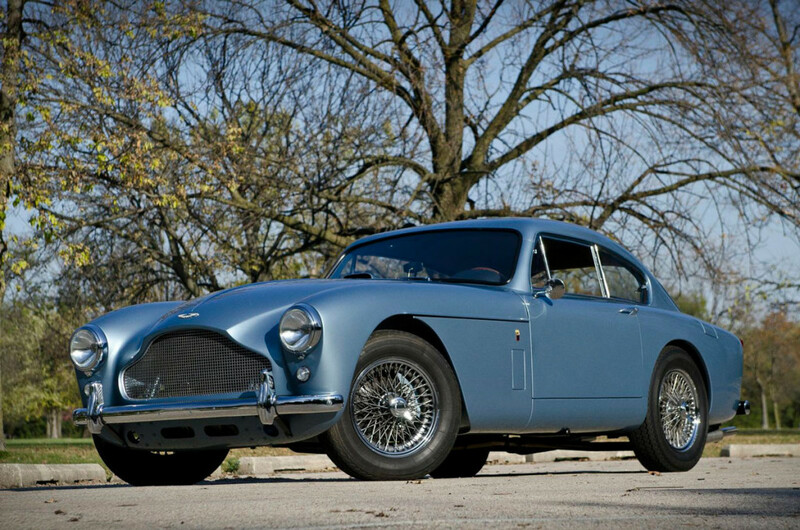 For my subsequent restoration, an Austin Healey 3000, I did do a complete restoration. It was the first time that I ever purchased a car and worked on it for years before I ever had the chance to drive it. 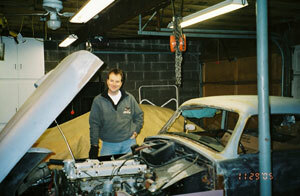 It was during the Healey restoration that I met Mark Baker at Sport & Specialty in Durand, IL. Mark and I developed a professional/friendship relationship wherein he allowed me to do as much work on the project as I was able. 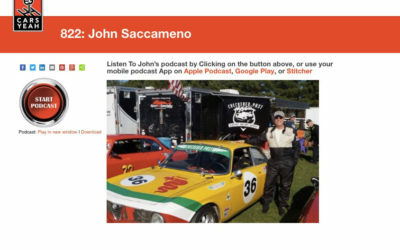 This not only saved me some labor costs, but more importantly, contributed to my connection with the car. 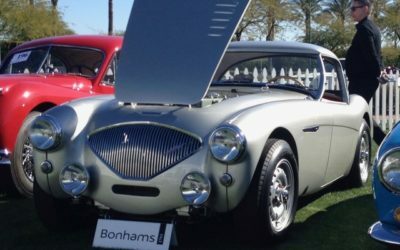 Before my Healey project was complete, I was already looking for my next project. 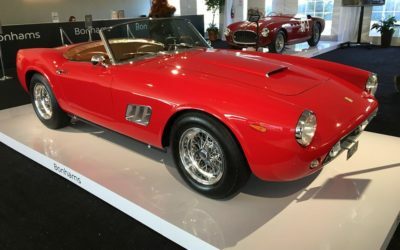 An exhibit of James Bond cars at the National Motor Museum in Beaulieu introduced the notion of an Aston Martin. 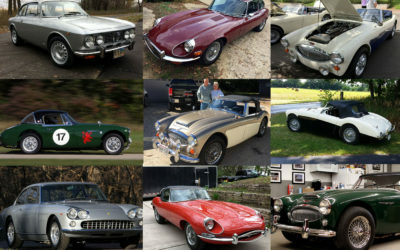 Research revealed that the prices of these cars were in a whole different league than what I had experienced so far, but confident of my ability to restore an affordable rough example, I set about trying to locate a suitable candidate. In October 2005 I tried to acquire a DB MkIII drophead that was up for auction in the U.K., but was quickly outbid past my limit. However, later that fall, 3 different coupes amazingly came available within a few weeks. The first was in California, the second in Italy, and a third one in Ohio. As the one in Ohio was most promising, as well as most accessible from Chicago, I went to see it and bought it on the spot. 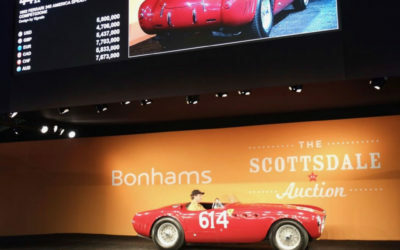 The car had been originally dispatched in January 1958 to a dealership in Los Angeles and evidently spent most of its early years in California. It had been last titled in California in 1992 to an individual residing in Newport Beach. 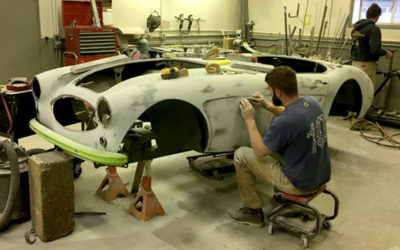 Apparently, sometime after an accident, repair/restoration work was begun, but before the job was completed, the car was sold to someone in Ohio. 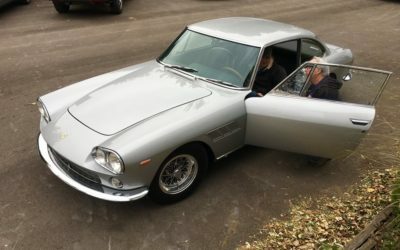 That buyer held onto the car for over 12 years, without doing any further work on the car, until he decided to sell it in 2005. Although I was able to contact the Ohio owner, I was unsuccessful in my attempt to reach the former owner in California. After bringing the car to Illinois, I soon realized how much of it was missing. Although I had known that it had no interior (the seats were missing completely) and it had been hit in the rear, it was only through further research that I found out just how much was not there – nothing that couldn’t be replaced, but as there isn’t too much documentation, it would be difficult for me to know exactly how these cars were put together. The more I got into it, the more I felt I needed something to model the pieces on. Feeling a bit of buyer’s remorse and thinking I might have been better off with one of the other cars, it was suggested to me by Kevin Kay, the Feltham Aston restoration specialist who had been advising me, that I get the California car that I had been considering earlier in addition to the one I already had. 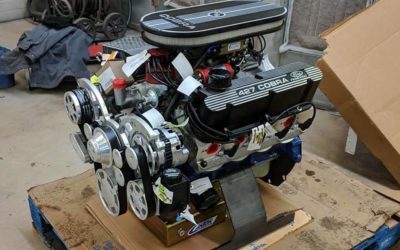 After the initial shock of this idea wore off, what he had to say made sense: “First, you could use an unmolested example to build your car by. Second, the MkIII is a rare and sought-after car, and you could sell it when you were done for good money.” As it was still available, we snatched it up. 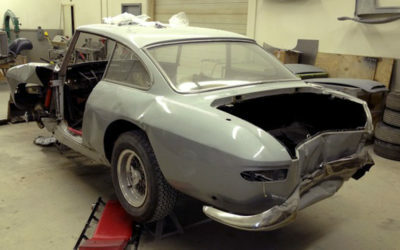 As it turned out, the two cars were very similar: In addition to both being early MkIIIs (with the small taillights), according to the factory build sheets they were both originally Black cars with Red interiors. The big difference was that one now had no interior but intact mechanicals, while the other had a complete (albeit shoddy) interior and the mechanicals apart. Mark Baker thought it was a great idea. 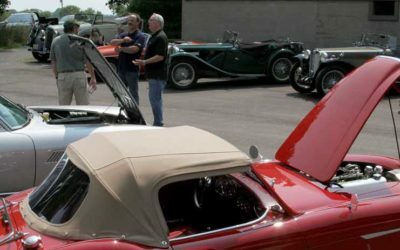 He felt having two cars next to each other would answer a lot of questions that would arise during restoration. The two cars were brought together at Mark’s shop in April 2006: AM300/3/1380 completely dismantled, with body work proceeding, while AM300/3/1391 stood proudly to the side. Many people asked me if I was going to make one car out of the two. Not only did I feel that would be a disservice to this rare model, but I was counting on the proceeds from the sale of the second car to offset some of my expenses on the first. As it turned out, I was made an “offer I couldn’t refuse” on the second car, and sold it before I was completely finished with it. As the years stretched on, I was dumbfounded on how long the restoration was taking and how expensive it was turning out to be. But having thrown myself 100% into the endeavor, I was determined to see it through. 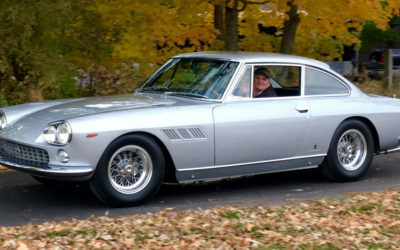 Finally, in July 2011, I brought it home in time to drive it to Elkhart Lake where it made its debut at the Road and Track Concours.